While you'll have access to all the amenities at Orange Lake, the *East Village* is the place to be for those who love golf. This village is close to all the action, from the challenging Arnold Palmer-designed Legends golf course, to the Legacy Grille sports bar. This resort village is also closest to Walt Disney World Resorts and the new Walt Disney World entrance. And when the sun sets, the real fun begins, with the best seats in the house for extraordinary fireworks from the Magic Kingdom. 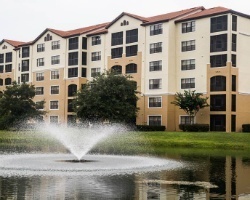 Close to Disney and other famous Orlando attractions! Week 48 Sunday check-in! Buyer may receive a title fee credit, inquire for details! Convenient Saturday check in/out at this family friendly resort! Buyer may receive a title fee credit, inquire for details! Enjoy staying in the Orlando area every other year during Week 36! Friday check-in! Buyer may receive a title fee credit, inquire for details! 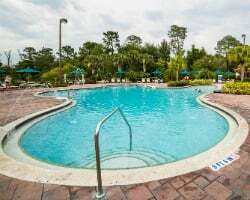 Family friendly resort close to Disney World! Week 45, Sunday check in! Buyer may receive a title fee credit, inquire for details! Motivated Seller! Will entertain any reasonable offer. Close to Disney and Universal! Odd year Week 32. Buyer may receive a title fee credit. Close to all of Orlando's famous attractions! Saturday check-in, week 50! Buyer may receive a title fee credit, inquire for details! Lovely resort with lots of amenities for the whole family! Week 40, Friday check-in! Inquire for more details! Great resort for enjoying the local attractions! Week 11 annually! Buyer may receive title fee credit, inquire today! Please also see ad# 100232392! Must Sell! No reasonable offers refused! Endless possibilities available onsite and nearby! Buyer may receive a title fee credit, inquire for details! Close to the Orlando theme parks! Week 33 Saturday check-in! Buyer may receive a title fee credit, inquire for details! Ideal location near the attractions and lake! Week 9 Sunday check-in! Buyer may receive a title fee credit, inquire for details! Friday Check In! 2019 week available now for immediate usage! Buyer may receive a title fee credit, inquire for details! Enjoy easy access to theme parks, entertainment, water based activities and more! Week 11! Inquire for details! Conveniently located close to Disney and other attractions! Week 10 ever year! Inquire for details! Beautiful location in Orlando by all theme parks. Week 42. Highly motivated seller! Price Negotiable. Bring friends and family along to explore Florida! Even year week 9 usage! Inquire for details! Price Negotiable!!! Enjoy the many nearby activities! Week 20! Saturday check-in! Buyer may receive a title fee credit, inquire for details! Resort features a water park, mini golf, multiple pools & more! Odd year week 50! Buyer may receive a title fee credit, inquire for details! Ideal week for enjoying the holiday festivities in the theme parks & more! Friday check in/ out! Inquire today!